Our trip was hosted by the Hampshire County Regional Tourism Council. All suggestions and endorsements are solely personal. Our policy is only to share honest and fair reviews and recommend only what we personally like and have experienced. Many of our links are affiliate links, which means we receive a small commission when you use them. 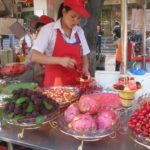 There is no additional cost to you and helps us keep Food Travelist in business. It’s no secret that we enjoy discovering destinations that may not be on the top of everyone’s wish list. We love to introduce our readers to destinations that will become their new favorites. 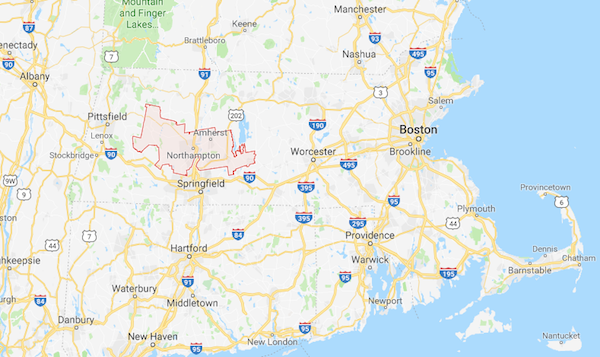 Hampshire County, Massachusetts is one of those places. If you’re going to Boston, Hampshire County is a quick 2-hour drive. You will go from a bustling city to rolling green hills dotted with quaint small towns along the route. As you leave the city you can just feel the stress and congestion melt away. One of the things I’ve come to appreciate in our travels is the people along the way. Especially in our travels through the United States. When you drive through most towns you find hard working business owners doing their best to produce the finest products and services they can provide. It’s these people that make this country’s heartbeat. To my surprise, Hampshire County has some of the most fertile lands in America producing fruits and vegetables. We saw plenty of dairy farms as well. While you’ll find many wonderful restaurants to enjoy, you’ll never forget the highlight experience of stopping in at farms, dairies and vineyards (yes, vineyards) as well. On our visit, we spent just a few days exploring and found these 8 experiences we think you won’t want to miss. Grab a cup of tea, sit back and start to dream about your visit to Hampshire County. When you think of quaint New England towns you’ll think of towns like Amherst. It may be lovely and seem quiet but it’s anything but. “Welcome to Amherst, where only the “h” is silent” is their catchphrase. Amherst is a town known for its lively political discourse as much as it is for its charming atmosphere. Best described as small but highly diverse, the food scene is eclectic and plentiful. 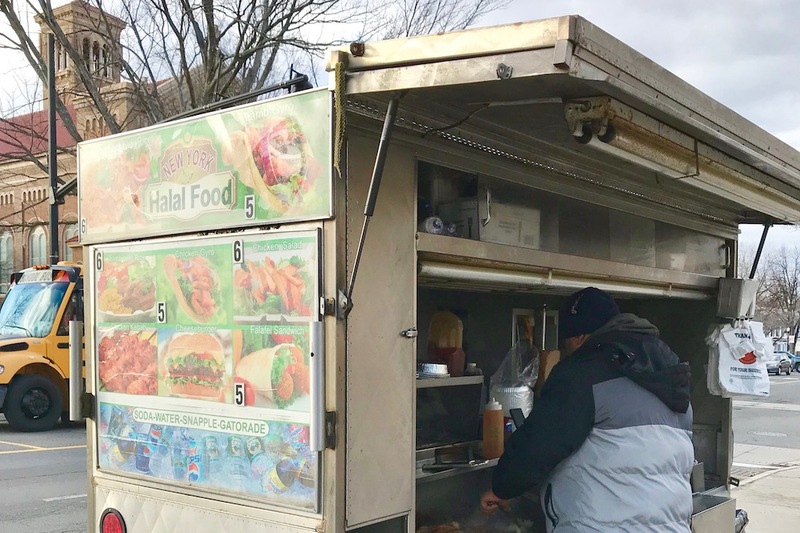 Asian, French, Indian, Italian, Mexican, Middle Eastern and American food favorites abound. 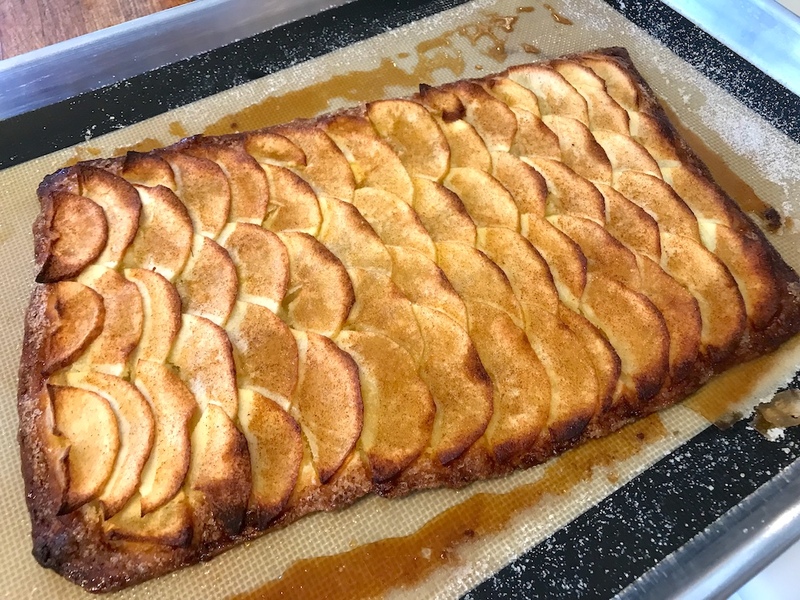 From fine farm to table dining at 30 Boltwood located in Lord Jeffery Inn to the delicious popovers at Judie’s on Pleasant Street you’ll find everything you need to satisfy the most discerning palate. 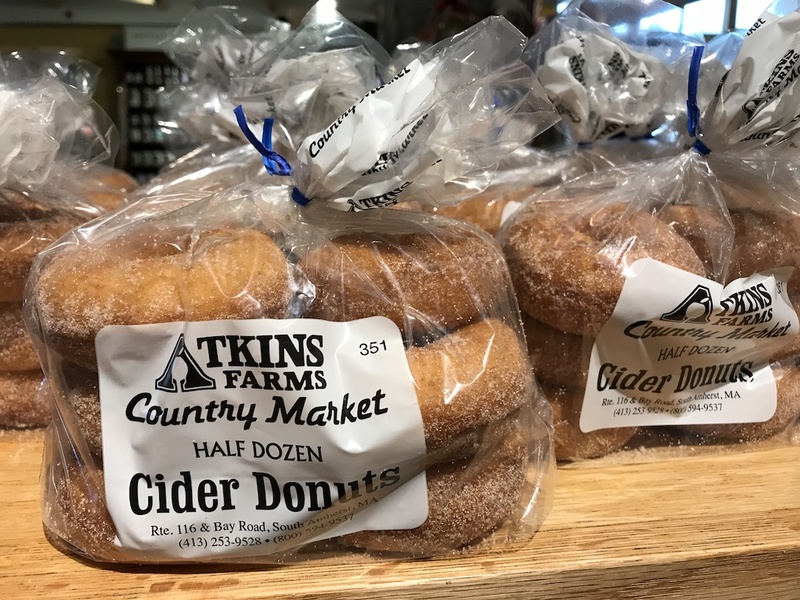 While you’re in Amherst don’t miss Atkins Farm Country Market. Started as a fruit stand when they were known for their tasty apples this little market has just about everything you can imagine. We were warned about their tasty apple cider donuts and boy they were good! It was almost impossible to tear me away from the bakery. Every fresh baked item looked better than the next. But do make your way to the deli that features made to order sandwiches. Of course, there’s a full variety of locally grown and fresh made products. Be prepared for time to go by quickly as you find yourself browsing through aisle after aisle of food goodies. Since this is a college town expect a healthy dose of culture. 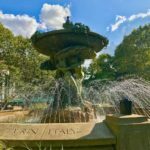 Art fairs, music, museums and street art are around every corner. They like to describe themselves as a town that has beauty and brains – and they wouldn’t be wrong. We wish we had more time to stroll down the main street enjoying the shops and taking in more sites. I have to admit that I had never been to a dairy farm before our visit to Mapleline Farm. I got a real education on how this family-run dairy not only makes a living but also produces great tasting milk products. Those of us who are really paying attention to what or what does not go into the food we consume will be pleased to learn about Mapleline Farm. The “big guy” in charge, John Kokoski, gave us a tour around the farm and we met his herd of 200 happy Jersey cows. These animals live in a comfortable environment (there’s even a cow massager!) and eat a diet of hay and corn that is grown right on the farm. 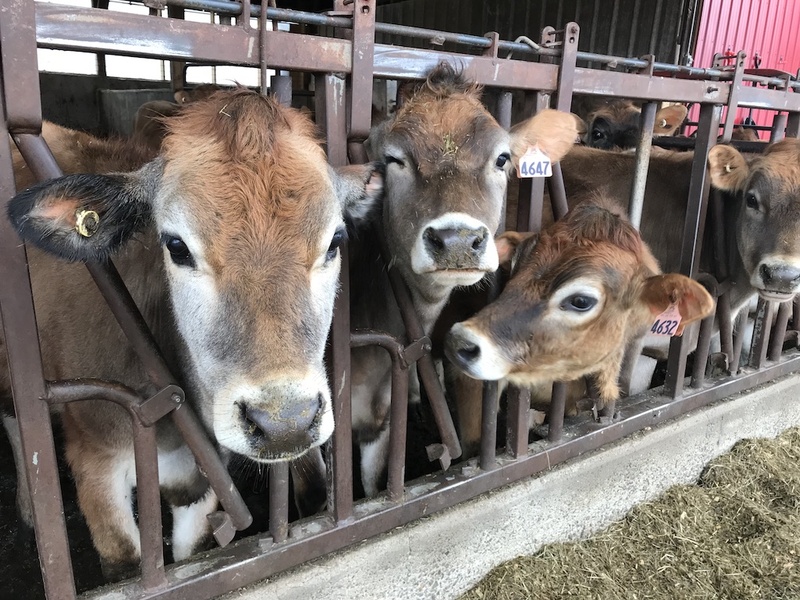 Jersey cows also just happen to produce some of the richest and creamiest milk around. There are no growth hormones, no preservatives. It’s all natural! 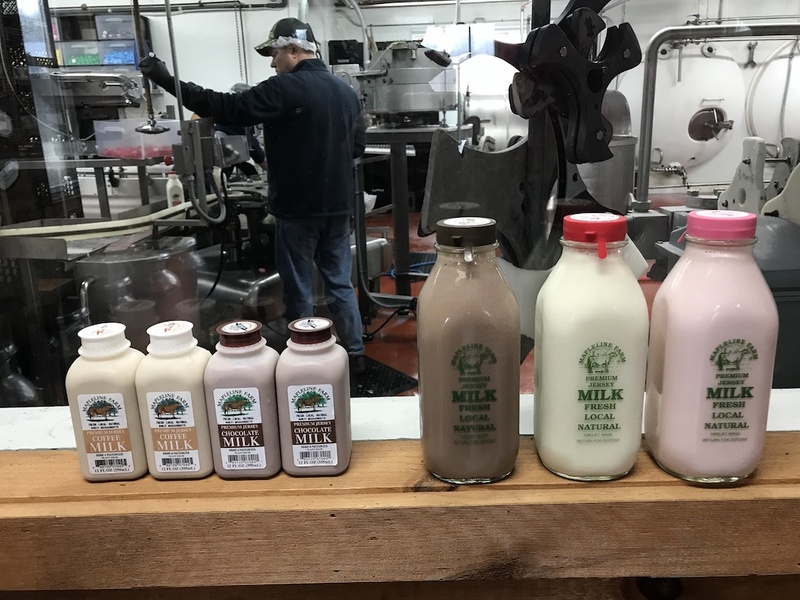 Whether it’s the white milk, strawberry or popular chocolate milk you are sure to taste the difference after just one sip. John’s family has been farming this land since 1904. They care deeply about the land that’s in their care and ensure sustainability and environmentally friendly practices are top of mind in all they do. I left the farm thinking I never had any idea just how difficult dairy life is. The hard work that goes on day in and day out. Caring for animals (heck, my two cats drive me crazy on any given day) that are producing a fine and tasty product. My hat is off to John and his crew. They made the work look seamless and we know it’s certainly not. Winemakers Ian and Michelle Modestow discovered their passion for wine on their visit to Loire Valley in France. Not a bad place to begin to learn the process of winemaking. 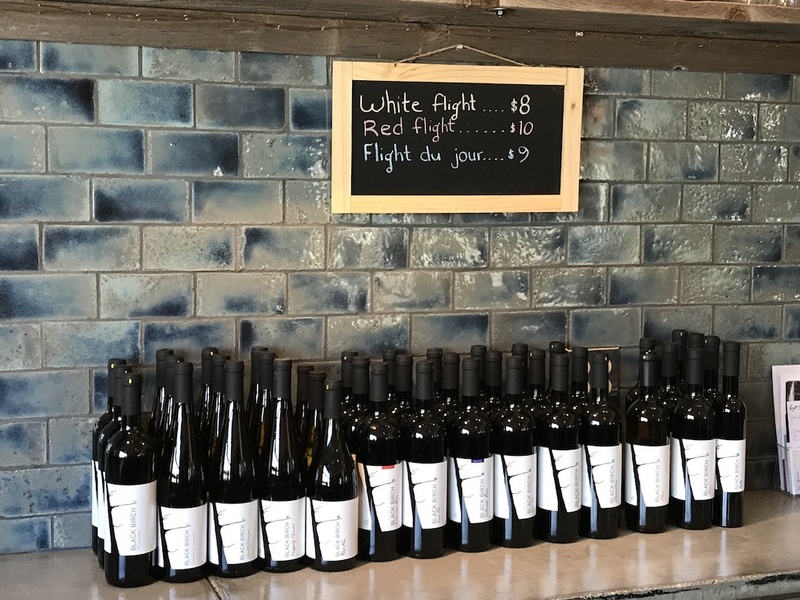 When we met Michelle at their 12-acre vineyard in Hatfield it was clear that their studies and continued travels have deeply influenced their own wine creations. They create award-winning wines a small batches that are all available depending on the growing conditions. Their offerings vary from visit to visit so it’s best to call ahead if you’re looking for one of your favorites. The tasting room is a comfortable place to taste some wine and listen to live music if you’re lucky enough to be there for one of the many events they host. 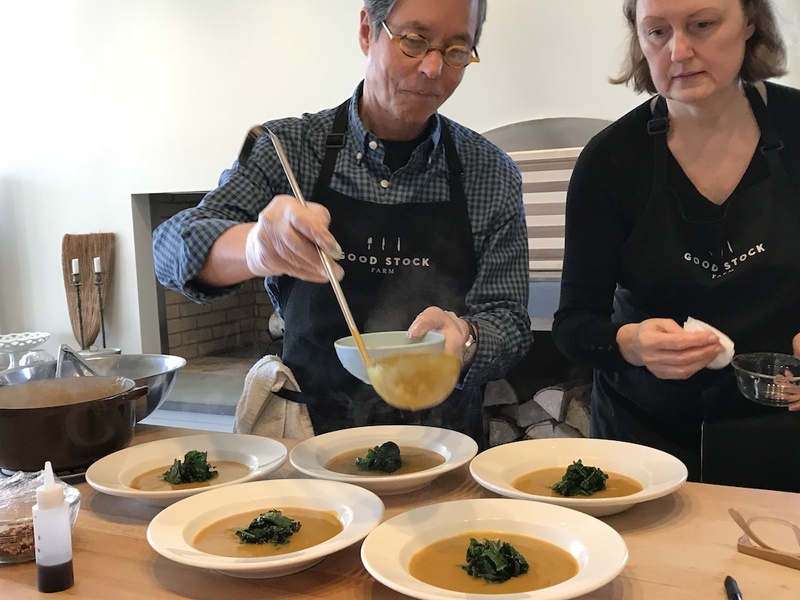 For a very special treat, while visiting Hampshire County, Massachusetts be sure to sign up for a cooking class at the Good Stock Farm. Your hosts Sanford and Angela D’Amato have created a culinary oasis in their home and on their property. They treated us to a memorable lunch prepared by Sanford that was simply outstanding from the fresh brewed iced tea with handcrafted simple syrup to the delicately delicious yet indulgent dessert. 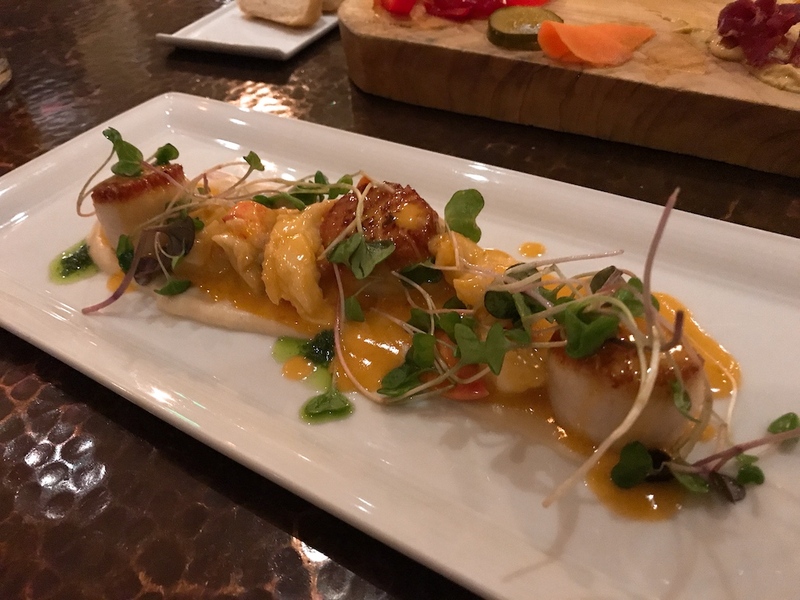 Sanford D’Amato’s cooking credentials are a laundry listed studded with accolades from the Culinary Institute of America, Bon Appetit, Wine Spectator, James Beard and more. He had the honor of cooking for Julia Child for her 80th Birthday Celebration and cooking for His Holiness, the 14th Dalai Lama of Tibet. To be honest, when we heard we were going to Good Stock Farm we were slightly intimidated knowing Sanford’s illustrious background. We couldn’t have been more wrong. When we arrived “Sandy” and Angie were the perfect hosts making us right at home in their self-designed gourmet kitchen. Their kitchen and dining room overlook the Connecticut River. It was clear from the moment we met that these folks were kindred spirits. After having highly successful careers as restaurant owners they, like many folks our age, were seeking a change of pace. A chance to slow down and enjoy life a bit more. They loved Hampshire County and decided not only to make it their home but to start their new business right in their own home. Sanford is a patient and knowledgeable teacher, who walks you slowly through each step with a gentle voice. Angela works right beside him adding in anecdotes, making sure that everything looks beautiful on the plates and covertly cleaning up along the way. It is more than evident that they are a well-oiled machine and team that work very well together. We had a lovely meal accompanied by great conversations of past and future meals, farmers market excursions and travels around the world. Sandy was also kind enough to give us a tour of their property. His hand pruned fruit trees and vegetable and herb gardens are truly his pride and joy. There are chairs facing the river and we can just imagine them sitting there dreaming up inventive menus and planning their travels. It is truly a slice of heaven. We spent way more time with them than we expected but not a single moment was wasted. They sent us away with well wishes and the recipes that we had enjoyed with them for lunch. We can’t wait to return and continue our conversation. Take a look at the short video below to hear Sandy tell more of his story. If you’re up for a longer excursion with them they also curate a 3-day extraordinary cooking experience and getaway, which includes cooking lessons, market trips, special wines from their personal cellar and much more. These events book up quickly so be sure to check their website for details. Do not enter Corsello Butcheria if you’re short on time. When you walk in you will immediately feel like you’re walking into your Grandma’s kitchen. We hadn’t even walked all the way in the door when owner Vincent Corsello was offering us his meatballs to try. This was before he even knew we were there to interview him. His warm smile and friendly welcome had us sitting down and tasting the meatballs, which, by the way, were delicious – and we’re pretty tough meatball judges if we don’t say so ourselves. Inspired by a butcher he met in Italy, Vincent set out to open his own butcher shop. 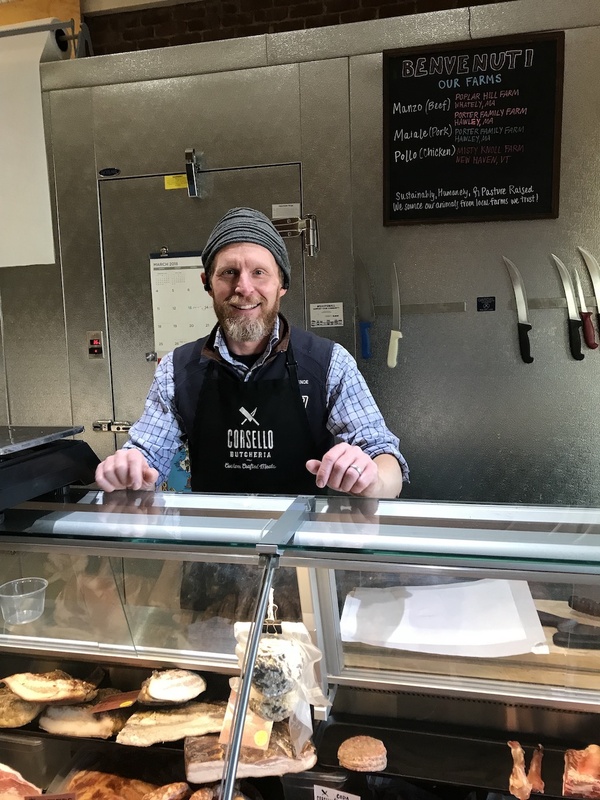 He’s now a whole-animal butcher that features locally sourced, pasture and humanely raised meat with his own unique Italian twist. This is an old-school butcher shop where you tell him exactly what you want and you’ll get it. They will cut anything you like to your exact specifications. He also makes delicious Italian sausage. And for you, Chicago Italian Beef lovers, it’s dry rubbed with Vincent’s own unique blend of seasonings and spices and slow roasted to perfection. Along with a nice selection of handmade sandwiches you can find hand ground meats, smoked meats and charcuterie platters. If you’re looking for a fun and sweet tasting experience get to the North Hadley Sugar Shack. Here you can learn how the Boisvert Family farm produces maple syrup. You can enjoy it first hand at one of their old-fashioned sugaring breakfasts. After a filling breakfast be sure to stop in their Farm Market, Deli and Bakery featuring many products and ingredients grown on their own farm. They also grow flowering annuals and hardy mums. Of course, you can choose from their full complement of maple products too! 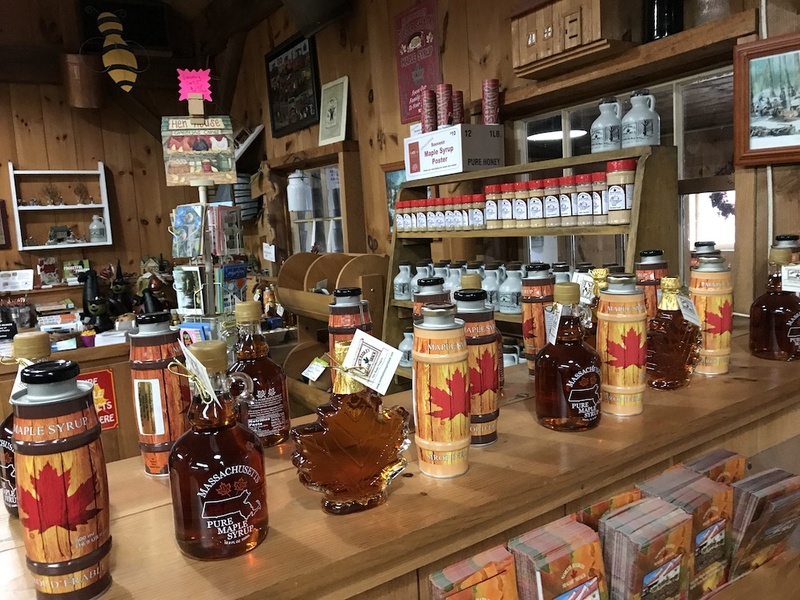 Whether you’re looking for syrup, candy, maple butter, kettle corn and apple cider syrups they have it all! It’s a perfect place to pick up goodies for the road, for gifts or for a picnic. While we do eat meat we also enjoy great meatless meals. We loved the feel of the open air bright space and felt immediately at home. We tried several dishes at lunch and each one was deliciously fresh and full of flavor. 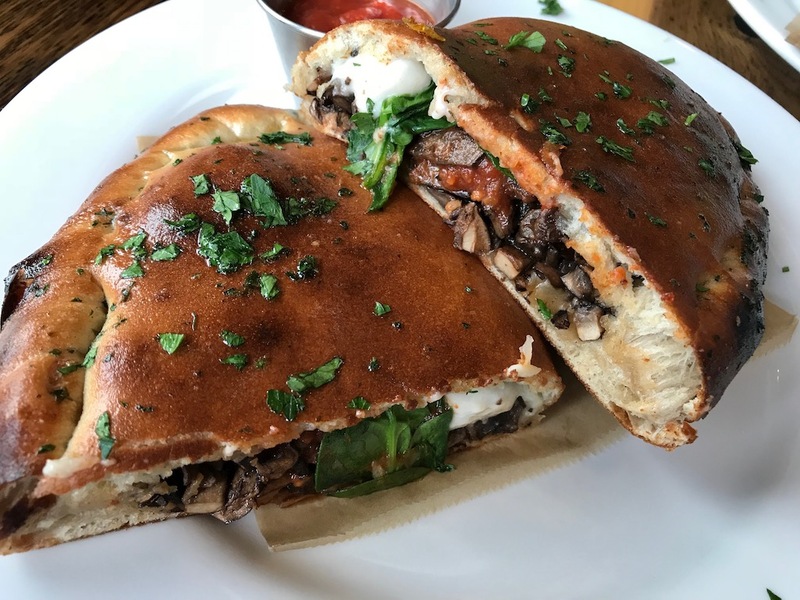 I was especially a fan of their crimini calzone loaded with heirloom tomato sauce, cashew cheese (yummy! ), spinach, crimini mushrooms and olive oil. The inviting menu includes small plates, burgers and wraps, wood-fired pizzas, bowls, salads, soups, organic smoothies and raw juices. Whether you’re a vegan or not you’ll enjoy a trip to Pulse Cafe. If you’re looking for a place to stay nearby check out the Courtyard Marriott Hotel in Hadley. It has a spacious open lobby design with a bar and plenty of seating to work, relax or watch a game on the big-screen TV. They hosted us for one evening and the rooms are nicely appointed with ample space and plenty of places to work comfortably – we love that. 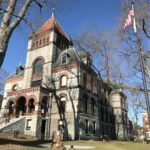 The home of Smith College and a downtown that is quintessential New England, Northhampton is a spot that you can spend an entire weekend or more exploring. 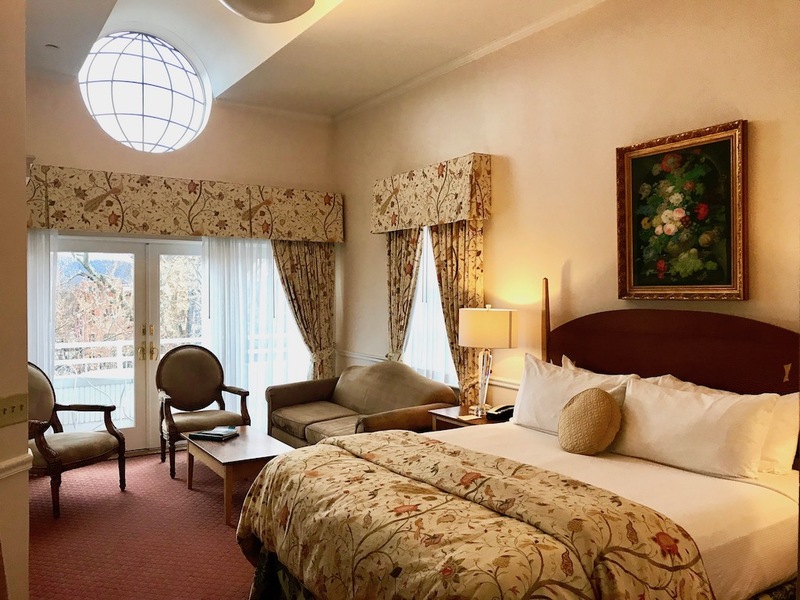 You’ll want to make your resting spot the iconic Hotel Northampton – a proud member of the Historic Hotels of America. It’s located conveniently just steps from the main strip where you’ll find shops, restaurants and attractions to keep you busy. Right across the street from the Hotel Northampton is Jake’s Restaurant. 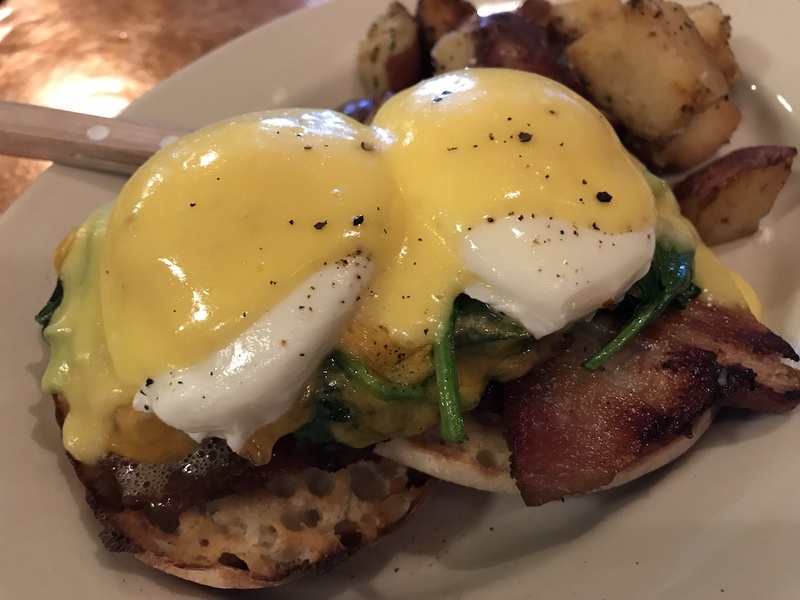 This unassuming spot is perfect if you just want to stop in for a local brew or enjoy a menu full of beautifully locally sourced ingredients. Don’t miss their “hash of the day,” which is a real breakfast treat. There is so much more to see and do in Northampton. 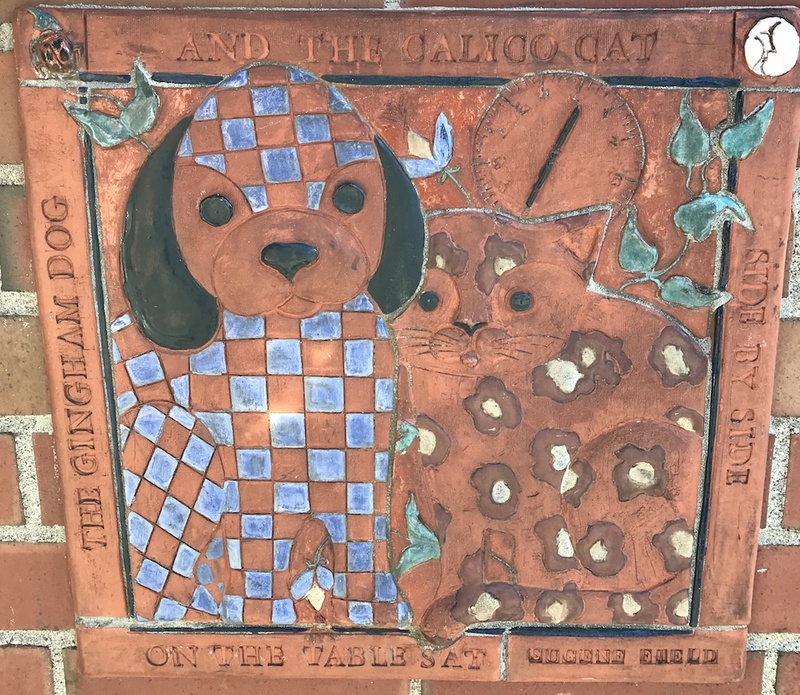 Be sure to check out our post Amazing Things You Need to Do, See And Eat in Northampton before you go. As I mentioned we only had a few days to enjoy Hampshire County. Our visit left us wanting to return because there were so many other spots to explore and taste. That’s the beauty of visiting unexpected places like Hampshire County. Once you discover just how lovely it is you know you will have to return. And that’s a promise. For more information about a trip to Hampshire County be sure to visit their website VisitHampshireCounty.com. Oh man I LOVE the North East US and all of the yummy food they have to offer! Can I get those Apple Cider donuts delivered??? LOL!! Hampshire County seems to hold the promise of great times. I was especially riveted reading about Amherst, I somehow seem to like the vibes of the place and it looks so vibrant, being a college town. The street art too is so colourful. Definitely a great place to visit. I’d love to experience seeing the farm, well for sure all of us would. I wish I could finally pay a visit there the soonest. 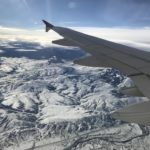 I have wanted to plan an east coast trip for so long and couldn’t land on where to go. I think this would be the perfect area. Love your descriptions! I need to plan a trip to Hampshire County! I went to college in Boston and it has been way too long since we were back to Massachusetts. thanks for sharing these great spots to visit. So many great places to see… and eat. My husband would love checking out the butcher shop while I would love to check out the plant based cafe. We love exploring new areas and this would be a fun place to visit. Those cider donuts alone would be worth the trip! We love cider everything! 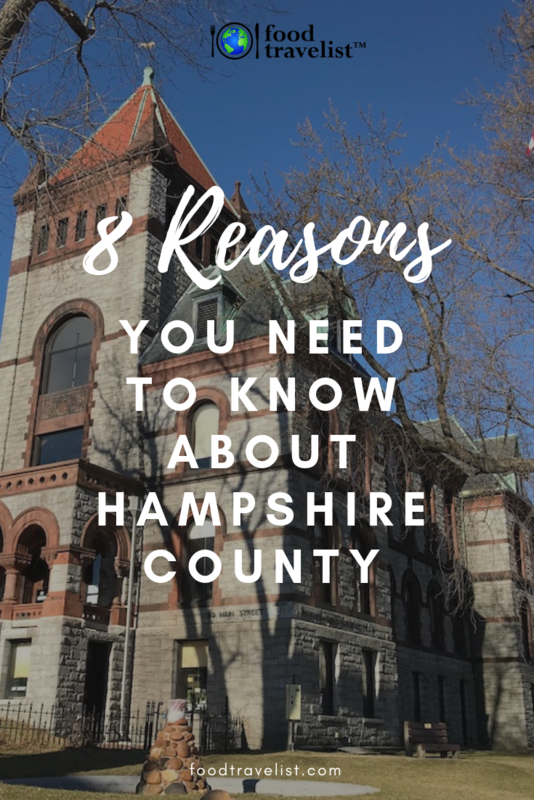 What an interesting sounding area, I have to admit I’ve never really heard much about Hampshire County but is seems like a really interesting place to go and visit and explore! All of this food looks amazing and it’s making me so hungry! I am so excited for Cider Donuts! I’ve only been to Boston but there is so much of Massachusetts that I want to explore! Definitely book marking this for future travel! We also love visiting new places. It sounds like there is a lot to explore, and this isn’t that far from me either. Thanks for sharing – these all sound great! I want some of those cider donuts and strawberry milk! My husband has never been to New England and we really need to go sometime. 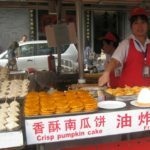 Looks like foodie heaven and will check out for a future trip. I haven’t been up to MA in awhile. This would make an amazing family trip, especially for fall! Thanks for the highlights. It sounds like I definitely need to come and explore that area. There’s a lot of fun things to do. I like anything that is farm fresh in the first place, and it would be fun to explore a farm where all our food comes from. I can’t wait to explore Hampshire County, Massachusetts. This would be perfect for our next day trip. We have talked about going in that direction after my husband retires. Will have to save this for when we really start making plans. Looks and sounds like our kind of place to enjoy. OMG my husband loves that milk – LOVES IT! He would want to go to Hampshire JUST for that honestly! LOL! I need to go here one day! I know it’ll be beautiful there. Plus I need to try that maple syrup. I’d basically pig out there! I live in Massachusetts, but don’t think I have ever been to any of these towns. Hmmmm? But I think my sister lives near here. You sold me when I saw the cider donuts. Reading this post, Hampshire County reminded me of my visit to the Tualatin Valley outside Portland, OR. Amazing! We have never been to Hampshire County, but it looks like you had a delicious visit. The food looks so enticing. Thanks for sharing. Salivating! In particular I would love to try that vegan calzone and the coffee milk. Love that they are treating their cows with such respect and care. Although the cities are familiar, I never knew that they were part of Hampshire County. Thanks for all the foodie inspiration! Hi Sue. I’ve not yet been to Massachusetts, but have plans to visit. Hampshire County is definitely a place that I’m sure would please my palate. thx for the heads-up!